THAT is our proper color--Olive Green. You know I'm still hoping that at some point we wear throwback olive green jerseys. It's the 125th anniversary year of Tulane football. Why not? You probably don't like Tennessee Orange, either. Not to worry--just about everyone is entitled to an opinion. But the color is Traditionally Tulane, and NOBODY else can lay claim to it. It is OURS. Therefore, it is, by definition, beautiful. But I will grant that the cut of those pullovers is dorky. 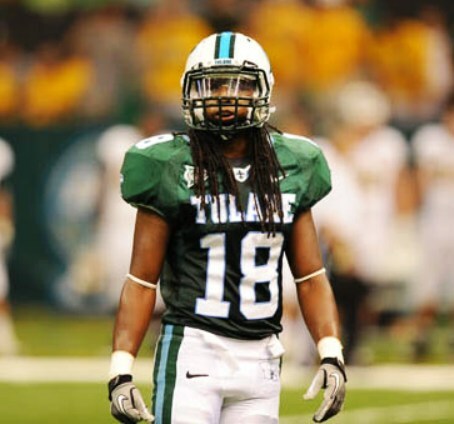 When did Tulane last wear that color? Roller— To answer your question, I like TN orange just fine. Hard to tell. Probably all the pictures are in black & white. But I'd like us to go there and stay there.